Bösendorfer – a name with a long tradition in pianos. This historical Viennese piano manufacturer opened the pages of its history book to welcome forceful acoustics and innovative aesthetics. 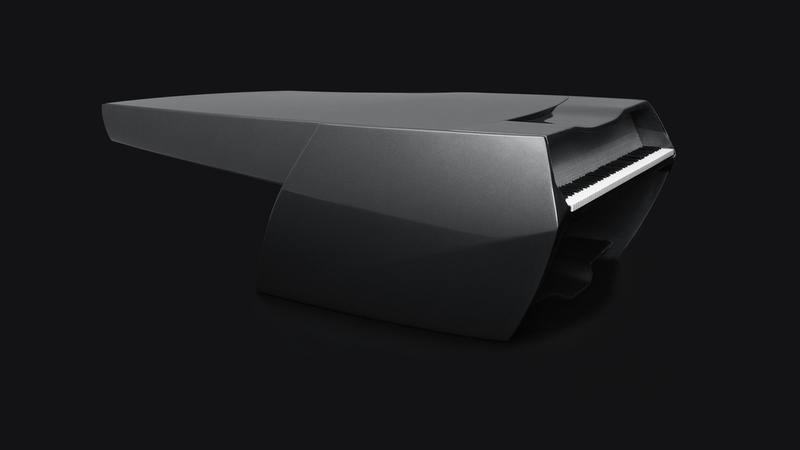 A grand piano inspired by Lamborghini. This was a quick university project done in 2006 in collaboration with Dominik Premauer, Jessica Covi and Florian Wille. Later, we built the 1:6 scale model shown above and made it to the finals of the "Design for Happiness" competition of the Kyoto 2008 International Design Conference.